Destiny 2: Curse Of Osiris – A Lesson In Realistic Expectations? It has been a topic in vogue to rail against the disreputable practice of developers and publishers locking parts of their game from people that have already paid for it. The standard bearer for the pitchfork wielders to follow was Star Wars Battlefront 2, with its loot box system being the spark that has set a deep rooted feeling of anti-consumer behavior ablaze. With the latest Destiny 2 news – Curse Of Osiris locking players out of prestige level content – the torches are slowly turning towards Bungie and Activision, as their newest expansion seeks to undo what started so well. Destiny 2 News: What’s Happening? This Destiny 2 news comes at a perfect time to discuss player expectations about video games in the current landscape. Destiny 2‘s act of locking out content to entice players into an expansion is by no means new. Curse Of Osiris comes with the same caveats and pitfalls as its Destiny analogue, House Of Wolves, for better or worse. Worse still, the complaints still circulating around Destiny 2‘s player base – the throttling of XP gain, the lackluster amount of playlists in Crucible, and the lack of variety in loot drops – threaten to derail Destiny 2‘s trajectory to surpassing its predecessor. At the core of all of these discussions, however, is the inevitable discussion of what exactly we expect out of video games, and so the latest mark on Bungie’s record seems as good of an opportunity as any. So what is it about Curse Of Osiris that makes players cross? For one, it has changed the levels of the endgame raids and Nightfall strikes, with Nightfall rising to 270 from 240, and Leviathan’s level going up to 290 from 280. What this invariably means is that the Heroic variants of those missions – the ones that require the new level cap to play – have now been barred from vanilla Destiny 2 players. That also means that the expansion-exclusive playlists are locked out of vanilla play, as well as the associated trophies/achievements for the respective consoles. These immediate changes to the game spark the rage of those championing the anti-loot box crusade, stamping out any and all costs that are not the initial price of entry and decrying any developer or publisher that adds any additional content to their game that anyone has to pay for. Malicious Practice, Or Misguided Criticism? Let’s make one thing perfectly clear: a change to a game that bars access to something that you used to have access to, and puts it behind a paywall, is completely anti-consumer and should not be happening. With that caveat out of the way, is it really the barring of content that is getting everyone up in arms? It is a factor, obviously, but let us package it all together. A three hour campaign that ends with a lackluster final boss encounter? Crucible playlists that don’t meet expectations? A new raid lair that doesn’t quite satisfy? These are all signs of an expansion that simply fails to meet the expectations of the audience that it is trying to impress instead of anything overtly nefarious. This mediocrity is not from lack of trying though. Bungie has been bending over backwards to fix reasonable complaints from its player base, with complaints coming thick and fast even with these changes. What does this say about the state of the player base then, if Bungie’s changes merely beget more criticisms? Besides, the process of adding new barriers to overcome with a new expansion, and in turn a barrier of entry, is not a new development in an MMO, the moniker that Destiny 2 has fully embraced at this stage in their lifespan. Even the practice of throttling XP aimed to extend the life cycle of the MMO aspects of the game, shady as it was. Yet somehow, almost like clockwork, Destiny 2‘s most vocal supporters proclaim that their new toy is inferior to the old, and should be shaped to suit their will. Do We Really Get Destiny 2? This is the space that we inhabit when we participate in a MMO experience, even with the FPS mechanics that we expect from Bungie’s products. The grind, the teamwork, the loot drops – for some reason, Destiny 2‘s most vocal advocates find these inadequate, despite their participation in an honest-to-God FPS MMO. Some of these criticisms are justifiable, such as allowing more randomized content in loot drops, and the comments regarding the token system skirting dangerously close to pay-to-win territory. All of these changes and modifications to the game, however, are a combined product of audience demand and developer liberty. As such, they both need to work hand in hand to produce anything of any consequence. To simply chalk it up to not being “what you want” is an exercise in futility, to the point where Bungie may as well regress and fire the original Destiny servers back up. In these yelling matches surrounding the ethics and expectations of our video games, sometimes we lose sight of the fact that these developers are always trying new things to excite and engage. These changes are necessary so that we can ensure that the industry does not stagnate , and that quality is held to a uniform standard. This question of what that standard should be lies within subjective opinion. However, slamming Destiny 2‘s changes as being “bad” purely for not meeting an expectation that you had is asinine, and the first steps in stifling change. 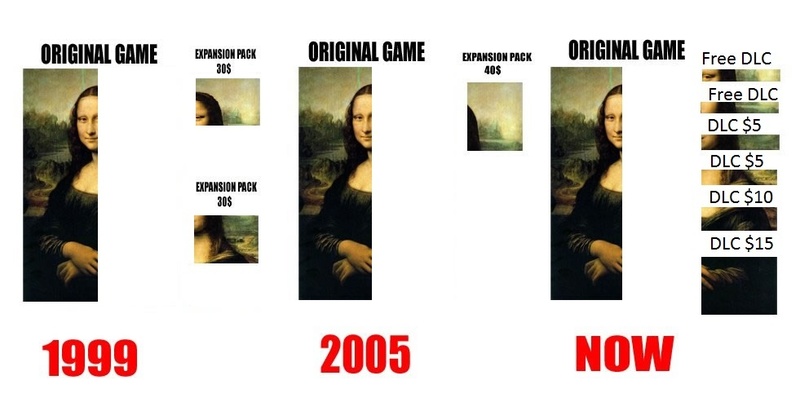 It is these changes that led to some of the negative practices that currently circulate in the video game industry. We know that Bungie are receptive to reasonable comments made by the players. Granting them the allowance of the occasional misstep in order to realign their narrative and gameplay focuses seems like a fair trade-off. This may sound like developers pointing the accusatory finger back at the consumers, but that is not true. Consumer criticism and engagement is the cornerstone of progress in our industry. Perhaps we should be more open to criticizing how content can improve, versus slamming the core of the content itself. Discussions should be paths to making better content, not the boycotts and flame wars to which we have become accustomed. If we continue this path of constructive criticism, instead of burning the very idea of their content in a knee-jerk reaction of internet hatred, the next Destiny 2 news we hear may just readjust its trajectory, to become the game the players want it to be. If you liked what you read, how about you stick around for the chance to win free games? You heard me. Check out our Giveaways page for more details! We need to have real dialog betwin players and developers. There is nothing wrong with locking out the content in an expansion. Without the profit from selling expansions online games become stale and limited. I never played it and don’t intend to. Anyone who could gift me destiny 2!